Take home larvae to experience the wonder of butterfly metamorphosis! 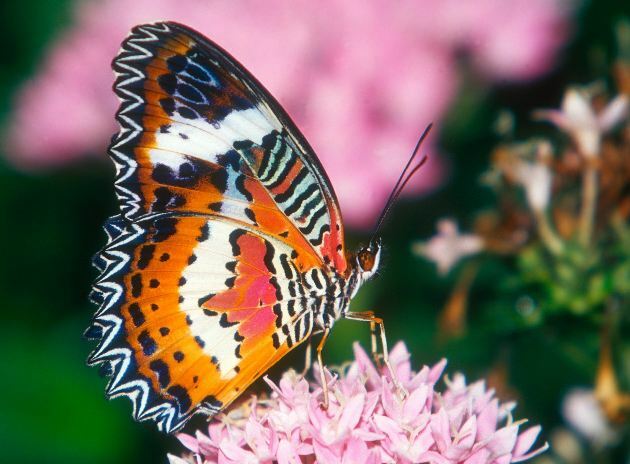 But first, you get to make your own butterfly habitat and learn about the life cycle of the Painted Lady Butterfly. Once the cycle is complete, release them into your yard! Recommended for ages 6-10, accompanied by an adult. Feel free to pack a lunch and enjoy a picnic in the park following the program. NOTE: Pre-registration is required by February 10 through the Arizona Science Center. To register, or for more info, please call the Arizona Science Center at 602-716-2000 ext. 2529, or email campbellm@azscience.org. Arizona Science Center members: $15 for the first parent and child and $5 for each additional child. Non-members: $20 for the first parent and child and $5 for each additional child. There is an extra charge of $5 per family for this class. There is also a $6 per vehicle entry fee to enter Usery Mountain Regional Park. This program is also offered on this date from 1-4pm. Location: Usery Park Nature Center.